AVEVA says that SUEZ ENVIRONNEMENT America Latina, is deploying a fully Integrated Engineering & Design (IE&D) solution for the first time on a major capital project. 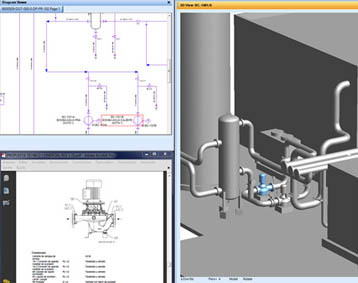 AVEVA software has been used for the Design, Build and Operation of Cogeneration Ciudad Juarez, an energy generation system from biogas. It will benefit from a suite of integrated 2D and 3D applications that improves the consistency of deliverables across engineering disciplines, while increasing quality and data reliability.